Relau Vista development is ideally sited at a strategic location in Relau Valley. A green lungs environment with Taman Awam Metropolitan that encircles the development of Relau Vista, with a further 150 acres of forest reserved land. 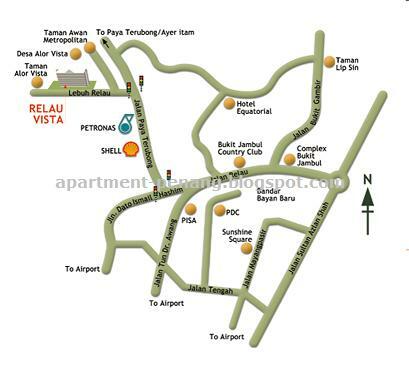 Relau Vista is within 5 minutes from all the location places like, Hotel Vistana. Further extending to within 15 minutes from Penang Bridge, Penang International Airport, Penang Medical Centre, Bayan Baru Town Centre, Queensbay, Bukit Jambul Golf Course, B.J. Complex, PISA, Sunshine Square, Bayan Lepas Industrial Zone, TESCO & Giant. Within walking distance to proposed primary and secondary schools and both wet and dry market. There are also Mini Market, Hawker Center and Laundry at your neighbouring Taman Alor Vista premises. Children Playground, Jogging Path, Fitness Station / area, BBQ area, Swimming pool and wadding pool with landscaped, Securities guardhouse, Surau, Car wash bays, Management office, Conference room / reading room, Community hall and room (for every floor). Any one have any idea when we can obtained the OC?? what i hear OC will be obtain on july. u buy what floor ? I am buyer for 11th floor corner lots. can any one tell me whether is there any problem we will face since we will extend the original 700sqt feet to 840 sqt feet for corner lots? can we obtain the strata titles since it is not stated in the S&P? how much do you bought for your sub sell units? the showroom office seem close all the while.. I had tried contact showroom office few times but nobody there. and THE relau vista sales person really non reliable ... Actually I had make few appointment and visit showroom.. But now upset already.. I had just bought other project instead of this. Somemore the front of the apartment have a very narrow "lorong" and very difficult to drive through. Yes i agree with you that the "lorong" is very small as the residents from Taman Desa relau 2 is parking along the road. But I think you can easily get the developer if you call this number 012-4809819 (kenny). I always go there to check on the construction progress and they are always there. Why the developer only built 2 sides brick fencing while the other 2 sides are with wires fencing? When can the local authority help to ease the traffic jam especially along the road in front of PISA heading to the traffic light locates at the junction and entrace to relau area??? anybody know about how much for the subsell. i'm interest on this.. especially for the corner lot. heard that the price for subsell units ranged from RM150k - RM185k. How about every one feel the main guide house is shall one road with the desa relau and the road is too small. One car park is not enough. hi.. i saw relau vista forum very pity, no one want to participate, actually. i try to post in cari forum also no one want to participate.. almost get OC already.. where all the vista buyer go?? all extra car park has sold out but i heard we can buy the car park from apartment beside with only 3k. bit firm is that true? i can't find the web from cari. do you mind send me the link? actually i have some layout design in this apartment thru google sketch . maybe can post there for sharing. Thank you for subsell price sharing. i has get the new block last week and now waititng for SNP. face swimming pool... yeah! I am 1 of the buyer for Relau vista projects for the corner lots.You can actually buy the cark park from beside Taman Alor vista (apartment beside) with RM 3K.This is what the developer told me. Do any one know whether we can get outside contractor to renovate our house after OC obtain? Im suprise to know that there is still carpark available with only RM3k. May i know who should i refer to so that to get detail info about this? We must not so worry about that matter as our right still able to be preserved in-case we realize and acknowledge about it. how much u buy for the subsell price the unit that facing the swiming pool? which floor u buy? i bought in 170k in the top floor (>20). sorry i can't tell you in detail on this since i have promise to the seller. wow! the price hike a lot. Surely the developer earn a lot. For your information, your units actually sell around 130K to 145K during launching. but due to material price increase, they actually increase the price twice. For those who wish to buy the car park, i think you can get the info from our developer. But my personal opinion think that the car park is not so good since it is located at Taman alor vista apartment where lots of foreigner staying at that apartment. is like one, lunching should be cheap. now OC almost obtain and material also increase. lunching also have risk... so no risk mean slighty high price lol..
already mid of June - still no news regarding OC oibtain. anyone has update from developer? starting "kan checong" now. The OC depend on how fast the state government approved the projects. Already 2 month the developer had apply for the OC and i think we will obtain soon. It wont be later than mid of July. i have call developer this afternoon and they mention OC will obtain on mid of July. Hopefully it is true. Is there any possibility that we can get the OC earlier. be patient, now only pass ~ 2 month after the construction completed. normally what i think OC will get within 3 month - 6 month. Just wonder how many units left for the subsell? i am interested to buy one!! i'm sorry..what is subsell..how does it different with the original selling price?...thx! intially we being told by Sales that the OC will be obtained last year December. However, it keep delay, and now already near the corner of July. juts wonder who is the one who is sitting beside the lift? they are always there when i go and visit the apartment recently. Do any 1 notice that we didnt have the Card access system yet which is stated in the SnP? when will the developer will install it for security reason as the OC Will be obtain soon. Just wonder why the main entrance is built as same entrance for Desa relau 2? isn't it good to build the entrance facing the main road. The road is very crowded at night. Agreed with you. Wonder why they not build the etrance facing main road. Do u guys think that the cement factory behind relau vista is a problem? Ppl staying at Block M and N in Relau 2 (the block opposite the relau vista main gate) complaining the dust from the factory polluted their house. Relau 2 being blocked by the Relau Vista also can polluted, does it means it will be the same regardless of front or back side of Relau Vista? yes. i agree with you. but i dont think it is a major problem since people who is living in desa Relau 2 and taman Alor vista doesnt complain much about it. i looking for apartment below 200k. Anyone can tell me how much price for sub sell relau vista?? Please leave ur tel and email. Is now near to beginning of July and soon it will be Ghost month, if the OC didnt come before mid of July , i dont think anyone will interested to move in anymore. Please to the developer and related department , dont drag us down, is our home anyway. Hi , I am one of the owner too , do u guys notice there is a haunted house near the taman metropolitan? Please girls, dont go near or park your car near there, it's real and you can see it inside youtube. I am a buyer of this Relau Vista apartment and attempting to call upon all the buyers -- unite we stand! Ya...ageed. As Chinese Ghost month coming soon and if still can't obtain the OC for start the renovation. There is problem for those intend to move in asap. Called up one of the Sales and he now saying , OC will obtain on begining of July if everything goes smoothly. But it might drag until begining of August. What is this all sh*t about?? Cant they give the real answer rather than keep dragging on?? I bet base on their reputation, the should know how fast to get the OC. Cham la if it is August....actually thinking move in asap, now seems no hope liao. Yalah cham lar....what to do?? we are not the authority, the only thing we can do is pray hard and hope that at least can move in just in the mid of July at least can do something . Why dont somebody try to call and ask again how fast they get the OC, see what they say again?? If different kind of story then u know what i mean... UNITE the RVC asap !!!!!!!! Dont worry so much for OC, should be able to get the OC soon! what I worry now is the renovation cost. As you all know the price of the steel, bricks ,sand and others building material keep on increasing.We need to pay extra 20% to 30% just for the renovation.Hopefully we can get the OC by mid of july!!! for those who like to form a commitee or forum, please share out your email address so that we can email to each other. I'm one of the buyer too, just confirm with on of the sales, is in mid July if all go smoothly. not just the renovation price, the furniture n appliances price as well is now increasing.... really cham..
Hi, i beindg informed by Sales also OC will obtain within July. from my experience with this developer, they are quite fast in getting the OC. Maybe this time its a little slower since there is a new state govt. basically, there shd not be worries abt wrong doings, its just the process. the only thing we should worry is the tendancy of the developer engaging renovation contractors headed by relau gangsters. These has been the norm with their 2 earlier projects. This renovator shd at least give a fair or cheaper then market price but that hasnt been the case. you will be allowed to engage yr own contrators but this will come wit reducules rules by these gangs. your contrators will be subjected to paying sampah money, usage of lifts and even buy cement and sand from them at a higher prices. all the will tell you that this is the norm in penang. wht norm is that when you can have your rights to choose yr own renovator and decide whre to spend yr money. I think we shd merge to go against this first. Thanks for your comment. do you know how much subjected to paid on the rubbish fees for the past 2 project? Just wonder why the developer allows the so call in house contractor("gangster') to monopolize all the renovation? not only this apartment, others apartment in penang also face the same issue. any thing we can do about this? or else we have to give away our hard earn money. just pass by the apartment and do see that the in house contrator (Sam Yu) already started to put their banner on the fence. Just wonder how much they will charge for the renovation? Have any one call the in house contractor for the quotation? Saya di arah merujuk kepada email tuan bertarikh 28/6/2008 berkaitan perkara di atas. dari pihak Akitek dan Pemaju kepada Majlis. Untuk makluman tuan. Just call up 1 of the sales again, he said the MPPP havent go to the site for checking. Then god bless the new residents of Alor Vista. Nothing else can do. What really happen?? did they summit the forms or did they not?? 1. We have to make a concerted effort to follow up closely with the developers on the OC - They were convinced in their answer (OC by July '08) when asked about this. 2. Traffic congestion from PISA leading to Sg. Ara/Relau - the jam is horrible and with no traffic lights installed, we have to wait so long (about 15-20 mins) just to cross a small road which is ridiculous. Have the authorities been alerted on this? 3. Having external contractors to do the renovation and not submit to 'thuggery' methods as feared by most of us. As a few mentioned, we have our rights to engage any external vendor/contractor. Hope to hear from the rest and let's be UNITED! Is anybody observe that the apartment lamp are not turned on at night recently? Don't know what's going..
if they tricks us again, this could be the end of our blog as Ghost month is coming. Nothing else to blog about , but for those who want to renovate still can do it without moving in ( for chinese customs). They locked the door becoz there has been some theft of sink or watever inside recently. If u go to higher floor, most of the door isn't lock. You all got no choice , confirm who is the contractor already. For those who want to renovate the house fast, act now by calling them and deal with them. the phone is on the banner near the guard house. got 3 partners there you can contact. Or just ask the numbers from the sales. I think you have already call the in house contractor.can i know how much do they charge you for the renovation? Aj : is stictly confidential as the price is nego. Depend on your budget and how you talk to them, is the way you and them dealing this business. But i can tell u the price is up to satisfaction, do you think they will be that stupid to charge too much? they also businessman . my god, drag again? how can that be? but what i know is that OC rules is 3 month, 6 month or 9 month. no other Socount your calender when they summit the forms. Is anything that we can do? the corner units is different, developer will do the rest for them but for the intermediate units, we will have the keys first coz nothing need to do. Rm2000 is deposit , is inside the agreement when u sign it, unless u never read it. Sam Yu just charge you when u need to use the lift as what i know they need to bared with the cost of repair if anything happen to the building since there are the only one there. So sometimes we cant blame them, else how are they going to pay for the repairing? if the lift spoilt , they need to pay themself. the SnP agreement just stated Rm2000. but how come we need to pay for the sampah money for more than RM 700 if we want to find outside contractor? others apartment only pay for RM400? i am quite worry on the quality of the renovation from the internal contractor as this is the 1st time i bought this apartment. Any 1 can advice me on this? have this internal contractor have good reputation as normally the internal contractor will hire foreigners("Bangla") to renovate the aparment and they have no experience on it. The 2k deposit is impose by the dev., its normal and refundable. SamYu charges is to undermine other contractors frm coming in. Sampah money doesnt cost so much as they will be hiring same foreign worker ie. rm40 per day max. to clear the sampah, then will dump it at one corner until its massive and call a lorry to clear it once a while. Outside contractors can follow the guidelines too..and without thugs charging sampah money etc. the cost of outside contractors will be cheaper and work will be better. My friend has a unit at desa AV whc samyu was incharge too. Apparently, they will reveal sampah money first, later when your contractors are going to do work, you have to buy cement & sand frm them too, and the cost of cement will be 40% higher then normal and sand is like 200% higher. Better dont look for any problem with them. Is the rules and regulation for all the relau residents. We got no choice to let them do the renovation. This only happen in penang and to Alor Setar, others state dont have this kind of problem. Can i know when we can get the OC since you are Relau vista Sales executive? Hi Anyoone deal with Sam Yu? Is thier price and work OK ? The does this means we only can get the key and start the renovation in September month? As you said OC obtain mid of August and two weeks for extension. Hi chuah , your the sales guy? Looking for anyone with drawing plan , upload and share you quote ok ? huh??? Again mid August?? Been hearing mid of every month since then for the possible OC date.... Can't we really get a finalised and confirm date??? anyone here asking me to add them in my msn ?? please add me again and give me a message saying you r from relau vista blog. I join the forum below. Now, would like to calling RV owner come to join us there as well..
Hi, is IT TRUTH that ghost month cannot do renovation? It depends on what you believe. Some Chinese will 'pantang' to renovate their house during Hungry Ghost Festival. Anyhow has the latest news regarding the OC? Is it sure that we only will get the key by September? Please, don't let thugs or anybody make an easy money out of us. Paying for usage of elevators to carry furnitures ect. is a riducules. Dont make them tell us is for the upkeeping of the lift. We are paying maintenence for the upkeeping of the whole place and thats includes the lift. These words have been said when samyu was in Taman Alor Vista & Desa Alor Vista too, but they have never paid for maintenance of lifts, all has come from our monthly maintenenace fees. Any news on the OC and etc..
please help us fast fast...alot of us is renting from others and becos of the dragging some even have to find another temporary place to stay. we know you wont have any compensate on this matter but at least do something to fasten the process. We will very thank q you. god bless, give us answer in this few days or next week. Someone told me that MPPP Building Inspector came for inspection today. I heard that there is no problem and can expect OC very soon. I should say perhaps by middle or end of August. See how fast the Government machinery works. We are all safe. I was also told that the latest Housing Regulation; the Joint Management Council (JMC) must be formed within 6 months from date of OC. We can sit and manage our property together. See you all at mamak's!!!!! I call to sale, sales tole me that OC had obtained, now just waiting for the extension..
As i said, do some gathering in RV and demand their manager to come and explain, what for giving all those blog in here, we just blog and we don't know what happen. do u guys want to blog for your whole life even though u know that blogging is not the answer? "As i said, do some gathering in RV and demand their manager to come and explain, what for giving all those blog in here, we just blog and we don't know what happen. do u guys want to blog for your whole life even though u know that blogging is not the answer?" Hahaha! I have to agree with this guy. Talk only no action. I have been very patience when sales said postpone from mid july to mid august. If there is another postpone, I would like to take action. May I know what kind of action are you taking? And is it because of the OC dates. I really want to know since you may want to be manly. Can you please go back and read your S&P (sale & purchase agreement) carefully, when you sign ur S&P!!!! Exactly, from the way its going i can see keys wldnt be handed over within mid of AUG. Right now, contractor has started extending the units..it means that building has passed inspection. OC depends on authority too...developer wld want the OC fast too so the can draw down money from bank. So lets see you take action againts them...sweet. I said take action. What kind of action I want to take, I didn't no say. If you the new owner of RV would be great that we united to voice out over frustration in waiting for blank OC promises. I alone can't make any differences. I know we are bound by the contract or the S&P but why there are there many condo/apartment owners subjected to tag along with those so-called appointed contractors. Correct me if I'm wrong, does our S&P says so? Yes S&P says so about 36months terms and condition etc etc. If we just keep quite and keep blogging here, RV will not know that I'm frustrated with blank promises. For those who criticized me. Thanks for you advice. If you are the owner, not investor, I ask you what would you do? how come so quiet now??? are u guys move in yet? hui.....are you joking. You got the keys? as a memeber and post your comments there as we are more focus and discuss on the issue that we will encounter for relau Vista apartment. Who know the price for higher floor intermidiate and corner unit's price? I am interesting to have one. They will free a carpark for each unit? and 2 for corner unit? A lot of people given comment. Almost of them told me that relau vista got some problem during developed. And few of people want to buy this apartment. Not worth at all. Broker just try to rise the price up and cheating people to buy. wah lau eh, what problem?? can runtuh?? cannot be kuah?? what is the problem for relau vista ? can you mention some of it? As the material keep on increasing, do you think the price wont increase? even you eat char koay teow also increase a couple of sen.
may u share is the problem there? if not mistaken, the developer will wait until the last payment from bank before they will give us the Key. The price for this condo really appreciate even I bought the sub-sale unit. The valuation really fetches well. If Vacant Possession has been obtained that means OC is soon. I have bought many properties, and I find that this developer is reasonable. They are not cheating but as you know raw material has gone up and even interest rate goes up too, so how can an owner sell to you so cheap when they had paid their interest. Bare in mind, this is a good area as its near to the Factories area. which apartment are you staying? but RV is using touch n go system so i don think outside ppl can go in easily. DO u know in this world everything can be PIRATED? Even Car sticker they can make look like real, credit card they also can make touch and go cant?? dont be too happy, among us sure got ppl not so kind hearted, if got 1% living among relau vista, this could happen. Even u can bribe the guard to use their universal card to open the barricade for you to enter. Just went to RV this afternoon, heard that 88 boss is there?? who they mean 88 boss? RV boss?? the guard told me they just start do the corner unit from 30th floor on the right side of the corner units now until level 15th only. something like that. when can we get the key? it keep on delay and we could not afford to pay our rental already!!! I think everyone is very keen to move in but we can't put the developer one hold as we must also see lots of aspec. Do you all think that developer is so stupid to block all of us to get the keys. They would also want to give you the keys soonest possible as we resident keep on bucking at them. We should appreciate what they had said and ontop of that they completed earlier than expected. Whatmore we all want. The unit is already completed and all units had been sold only I think from the Sales people only sub-sale are available. So on top of that they should be very busy preparing for all of us to get the keys. So whatmore we want. Please check around other developers and compare what this developer give us. Which developer can complete that early and what the sales people promised is verbally to let us know the progress through the project department. r u first time buying a house? the sales tell us the progess is their job, this is call sales and service la. u go farlim or IJM also the same, they need to tell you the progress and what's wrong. even if you buy a car, u got problem the sales man will help u solve it also. what so special with RV sales? But RV sales information is outdated , so we as onwer sure un-satisfied with the answer what. wow, this is the kind of owner cannot be in our committee. Why? because he would wan to be in political rather than sit the same boat with us. most of the peoples here is not rich nor very rich, they rent house and this is their only house for the future, dont blame them for demanding for real answer. collecting antique cars, coins, stamps, reading, gardening, fishing and among other things, are classed as hobbies.But buying properties are not one of them the term is investment, unless you are Bill Gates or Jim Rogers. Please dont argue much. what we want is to get the key ASAP. For those who is not RV owner, please dont make noise here. when can we get the key? you already commited several times but we still havent get the key. we feel very dissapointed. I know you are watching this blog especially Mr chuah(Kechuah@yahoo.com). Please take an immediate actions as it already drag more than 4 month since i heard that the OC already started to apply on April. To resolve such matter, always form a group to act rather than individually, group action definitely much effective. Suggest all to form a group quick, not until when problem start to surface. yes , start a group but i guess some owner here prefer to just blog in here than go face to face, they felt if let the developer know who is making noice , maybe in future the developer will do something to them, am i right??? so who's agree to join in the group? act fast , 1/8(chinese calender) is coming soon, u want to get this between this date or 15/8 (chinese calender)??? in mamakcafe.com, got peoples mentioning about good feng shui, so which date is good? earlier or later? we demand an answer, so that we could inform our landlord when to move out, right guys?? else , do Relau vista willing to pay for sept rent fee for us?? I think some one must lead a committee and gather all member into same way. Or else, how we can push RV developer just by some voice here? Who are the leader and please come out with your plan and try to find out the efficiency way here. We should meet up at a right time and discuss more further about this. What we all demand is just a simple solid date, we r not trying to push n and ask u all to simply finished up things fast. Construction need time this we all understand, but rather then keep giving those empty promises dates, why can't just b honest n really give us all a solid date which u r 100% confident to hand over the key????? what is so hard bout that??? what bout credibility????????? Before you make more noises, suggest buyers to understand the procedure of VP(get keys) and OC (stay in). For VP application in major state in malaysia for landed property, the develope/architect have to obtained 5 external parties approval: BOMBA, JPS, JBA, TNB, JKR. Since Penang state is an island and involve hill, if not mistaken it involve one two two more authrorities. Until all 6-7 jabatan issue their "sokongan", architect cannot allow VP. After VP obtained, the project need MPPP to give sokongan for OC, which may another few months (MPPP won't consider OC until VP obtained). For new DAP goverment, i foreseen OC will be slower than before bcs no more kopilui. To the developer, your rental is none of their business. All they care is to pass you the key within 36 months (from the date of your SPA stamped). That's their right. Before this, buyer have no rights at all over the property. Until you know where is your right, suggest you guys be more diplomatic. The developer is do not own those authorities decision making, how could they give u a date? Be real. If the delay for VP has more than 3 months, i can quite certain there're very serious construction issue or none compliance happened and the developer is working round the clock now to address the issue. Enough of the shooting here and there , dont talk crap the first place that we would get OC by this date and then postphone, this already is beyond the trustworthy of RV residents to the developer already. Now is already end of August, sept is coming. Dont the developer know when is the date? we already give 4 month of waiting period to you to settle all your things, it cant takes more than 5 month to complete if you do your things accordingly?? To be honest , as a responsible person , you should ask for session whereby RV residents coming out and meet the developer on the outcome, to clear off the misunderstanding and the image of your good quality project. we are not gengster, we just frustrated that alot of peoples here already put on hold their plans to buys things for their new house and eventually alot promotion is ongoing now but some need to see the budget to reno and to move in before go ahead with other things. seems like the developer come out to defence themselves! Before you point every aspect to the developer, bare in mind that they do not want to delay once delay project can't be completed. Their people need to submit accordingly all documentation to the relevant Authorites. Heard that we will get letter from AV next week ? is it true?? after that we can get the key??? is it true?? if this times is true then forget about what we has criticise, we have got what we want , we dont have anything need to critic anymore but if that is not true then please dont blame us for not trusting you. Some info I got from management office when I visitted them on Tuesday. They told me RV will try their best to distribute the key to us by mid-Sep (mean mid-autumn festival 8.15). Don't know that's true? Now we're talking. Key hand over is a critical milestone towards OC. Let's hold on to this. Step by step. why cant let us pray at our own unit on that day by giving us the key earlier? Mind to let us know what the letter say? guess he is busy getting the key oledi..he wont be back....case close. any one has confirm that he has already get the key?? I received the letter too, today. i think all of the relau vista owner can start to get the key by this week since the last batch of the letter already send out yesterday. Please visit for latest updated information. high floor with 1 car park RM142k. 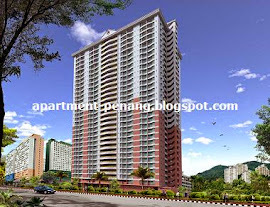 high floor with 2 car park RM155k. I am a buyer at Relau Vista. Does anyone know when is the renovation ppl moving out from the place? they will only left after 1 or 2 year? do you think you can wait them to move out if you want to stay? Sentral green and mostly of the housing estate also already accupied by them. Noticed that there are land clearing in front of Relau Vista. Any idea what is the project that shall be developed there? It doesn't looked like for Setia Vista, as Setia Vista is further in, in front of Alor Vista, which I saw SP Setia is also doing the clearance now. May i know 24th centre corner price? wow, awesome the high rise apartment with condo facilities/environment... good management servicing. worth to buy for invest, and stay. Relax when you enter the compound. Really nice environment. recommended to stay and invest. Any NEW low medium cost apartment open for registration in Penang? any good renovation firm to recommend ? Is all corner unit is 840sqf?Kitchen bigger?anyone can share me the plan? Hi anyone know management office contact number? I am Mr. Donald Moore (mrdonaldmooreloanfirm@gmail.com ). A certifield and liecense Loan lender, OUR LOAN is 100% GUARANTEE with No social security, no credit check up and with 2% interest rate. We have a network of Investors that are willing to provide funds of whatever amount to individuals and organizations to start business and operations, All you need to do is let us know exactly what you want and we will surely make your dream come true. Unit for sell at 20th floor with one fixed parking lot at RM385k. Contact 0124732828.